Scott A. Parsons, Robert A. Congdon,Luke P. Shoo, Vanessa Valdez-Ramirez, and Stephen E. Williams. 2014. 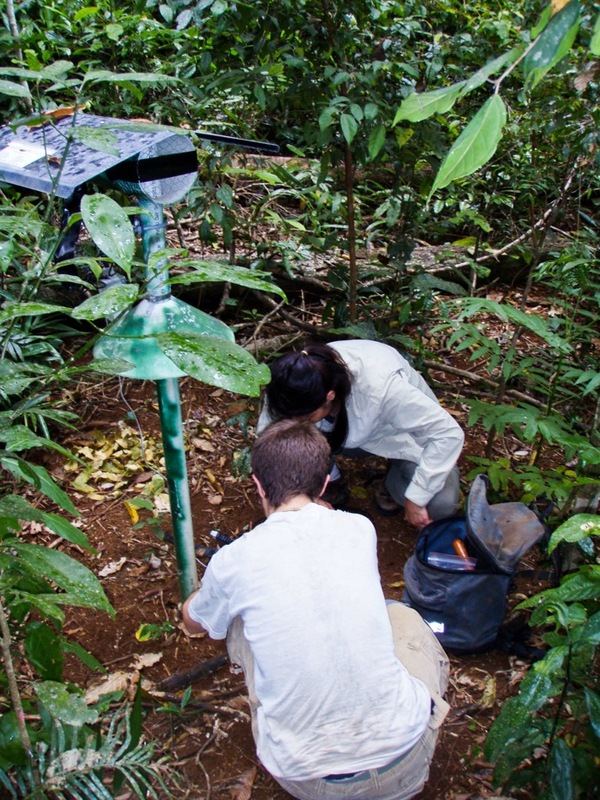 Spatial Variability in Litterfall, Litter Standing Crop and Litter Quality in a Tropical Rain Forest Region. Biotropica 46(4): 378-386. Understanding the spatial variability in plant litter processes is essential for accurate comprehension of biogeochemical cycles and ecosystem function. 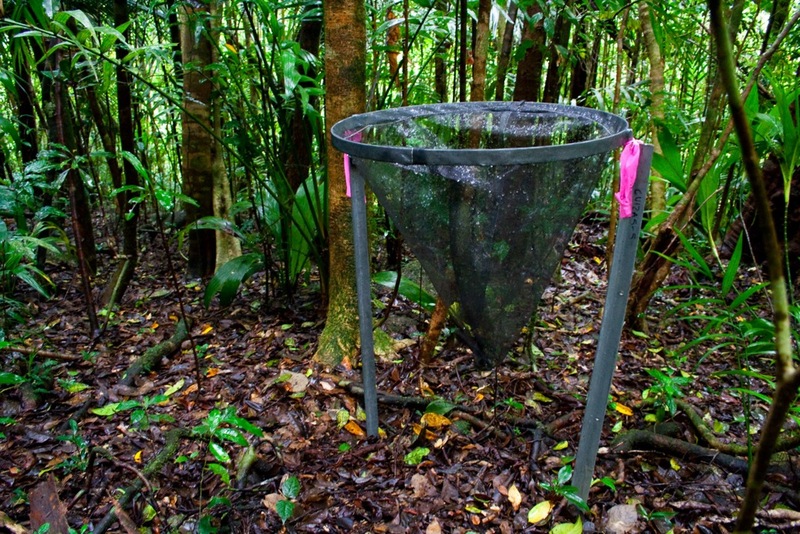 We assessed spatial patterns in litter processes from local to regional scales, at sites throughout the wet tropical rain forests of northern Australia. We aimed to determine the controls (e.g., climate, soil, plant community composition) on annual litter standing crop, annual litterfall rate and in situ leaf litter decomposability. The level of spatial variance in these components, and leaf litter N, P, Ca, lignin, α-cellulose and total phenolics, was determined from within the scale of subregion, to site (1 km transects) to local/plot (~30 m2). Overall, standing crop was modeled with litterfall and its chemical composition, in situ decomposability, soil Na, and topography (r2 = 0.69, 36 plots). Litterfall was most closely aligned with plant species richness and stem density (negative correlation); leaf decomposability with leaf-P and lignin, soil Na, and dry season moisture (r2 = 0.89, 40 plots). The predominant scale of variability in litterfall rates was local (plot), while litter standing crop and α-cellulose variability was more evenly distributed across spatial scales. Litter decomposability, N, P and phenolics were more aligned with subregional differences. 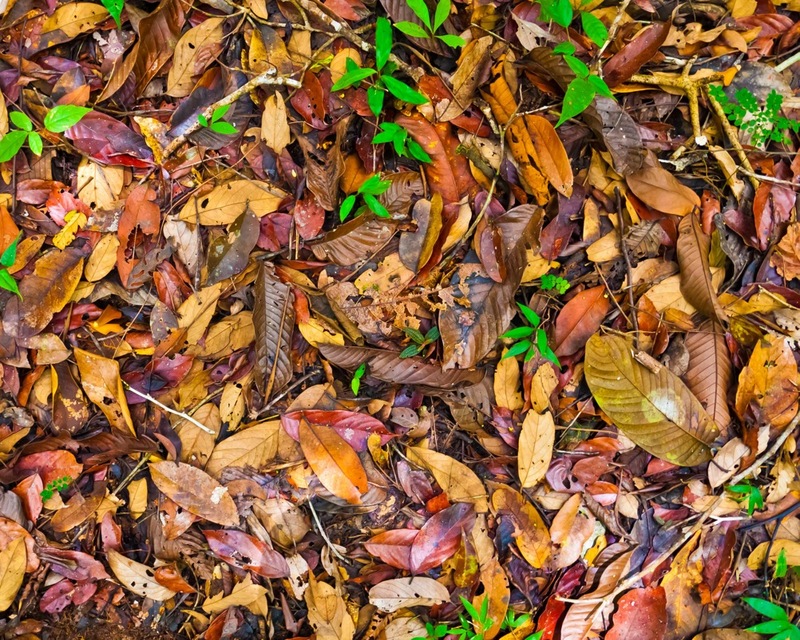 Leaf litter C, lignin and Ca varied most at the site level, suggesting more local controls. We show that variability in litter quality and decomposability are more easily accounted for spatially than litterfall rates, which vary widely over short distances possibly in response to idiosyncratic patterns of disturbance. For mor information, please visit Scott Parsons’ Google Scholar Page and page of the Centre for Tropical Biodiversity & Climate Change (CTBCC), James Cook University. Fig. 2. 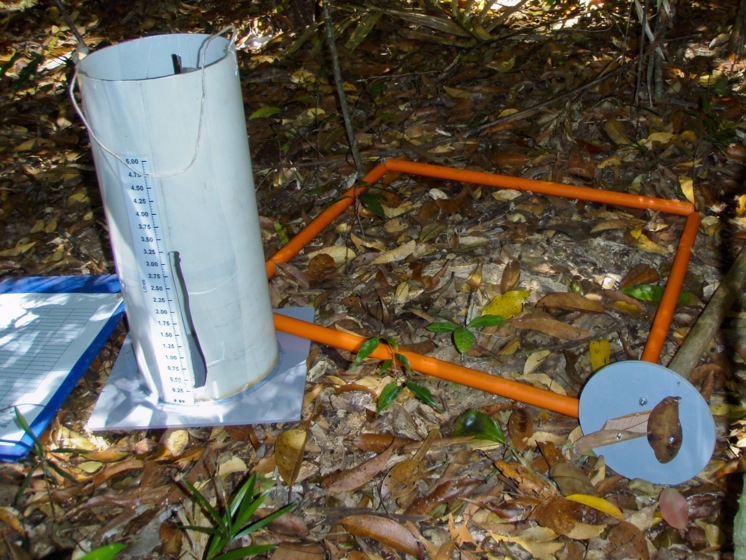 Litterfall trap in the field at an upland cloud forest site on Mt Lewis, Queensland. Fig, 3. A chemically diverse tropical rainforest litter layer. Fig. 4. Climate weather stations being serviced in the field. Fig. 5. 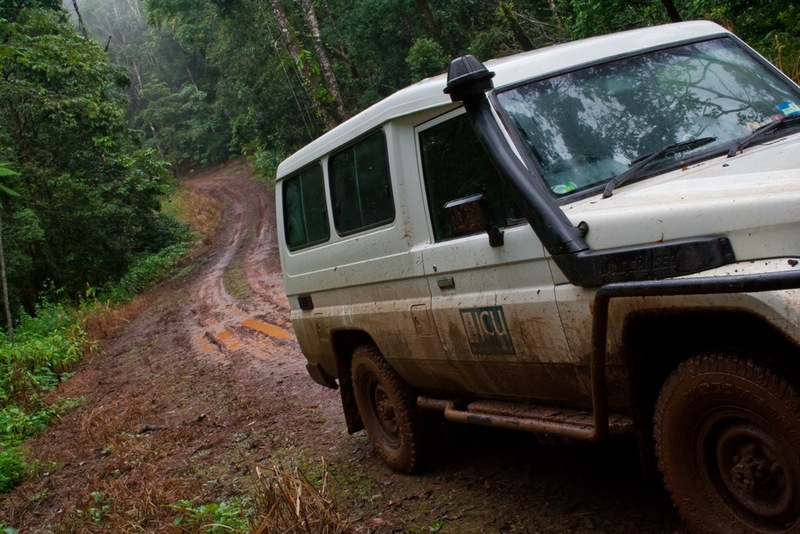 James Cook University vehicle on wet and muddy upland rainforest road.